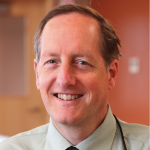 Dr. Peter H. Watson is a Professor in the Department of Pathology, BC Cancer Agency and the University of British Columbia and he is currently director of both the BCCA Tumour Tissue Repository and the UBC Pathology Office of Biobank Education and Research. Dr. Watson combines a clinical practice as a breast pathologist with a research interest in the molecular pathology of solid tumors and in the development of biobank resources for health research. His laboratory made early contributions to approaches and application of molecular technologies to tissues and the program currently focuses specifically on the biology of biomarkers of risk of early breast tumour progression and biomarkers of response to endocrine therapies. In addition to directing or co-directing the BC Cancer Agency’s Tumour Tissue Repository Program Program and the Manitoba Breast Tumour Bank , he leads or co-leads provincial and national efforts to foster tumour bank and other biobank resources for translational research including the BC BioLibrary Platform, the UBC Pathology Office of Biobank Education and Research OBER , and the Canadian Tumour Repository Network CTRNet . Lead the BCCA Tumour Tissue Repository and Departments Office of Biobank Education and Research programs that have contributed as resources to internationally recognized research teams. Supported the development of provincial institutional biobank initiatives. Lead the launch of a national education and certification program for biobanks in Canada. Published 8 referred journal articles. Gave seminars about biobanking, management of breast cancer, and clinical oncology. Gave national and international presentations about biobanking at national and international conferences as a keynote/section speaker. Reviewer on several grant review panels. Our laboratory is located at the Deeley Research Center, BC Cancer Agency Vancouver Island Center (http://www.bccrc.ca/dept/drc). Our focus is on the molecular pathology of breast cancer. We have several current interests including studies into the mechanism and markers of progression from pre-invasive ductal carcinoma in-situ, exploration of the molecular pathological factors that govern the immune response to tumors, and identification of markers of hormone response and resistance to endocrine therapies. The training experience in the laboratory is enhanced by several parameters. These include the translational research emphasis, a close relationship with the Tumor Tissue Repository (http://www.bccrc.ca/dept/ttr), and active interactions and collaborations with other cancer research laboratories and groups within the BCCA and other institutions.